One of the most exciting albums we've ever heard from Guinga – the Brazilian singer and guitarist whose been making great records for many years, but who really seems to open up something new with this one! 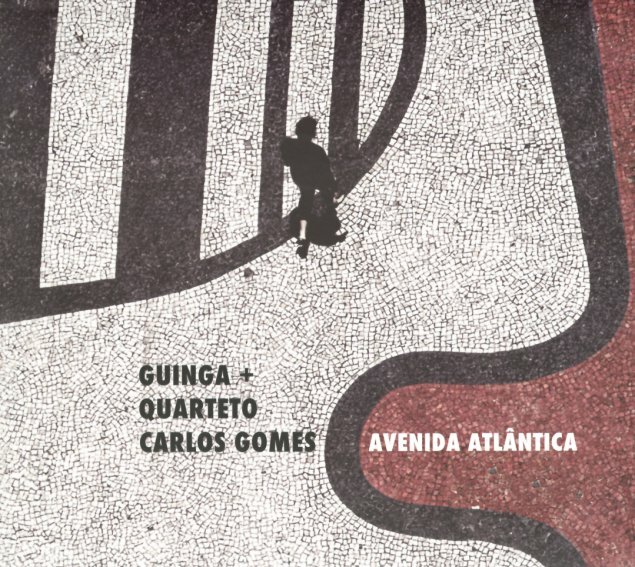 The album features Guinga next to a string quartet – his own voice and guitar very strong in the lead, but often getting both rhythmic and melodic elements from the quartet – who bring a gentle sort of drama to the music, and really highlight the sometimes-missed power of Guinga's music. The approach is never too "arch" – never overly cerebral, and instead maybe hits that same emotive vibe that we love in the way that Astor Piazzolla could use a violin or larger string arrangements without interfering with the core of a song. Arrangements are by Paulo Aragao – who's to be equally credited with the strength of the record – and titles include "Odalisca", "Chapliniana", "Saci", "Domingo De Nazares", "Suite Casa De Villa", "Tom E Vinicius", and "Pucciniana". © 1996-2019, Dusty Groove, Inc.